One of the biggest commitments you’ll make during your wedding planning (aside from the one to each other) is to your wedding venue. Generally, choosing a wedding venue is the biggest financial and logistical decision you will make. No matter what your budget or dreams for your big day, choosing the perfect wedding venue is an important part of the process. With this in mind, we’ve compiled some key considerations when choosing a wedding venue. No matter what your plans are, you will want to keep these things in mind. What Are Some Key Considerations When Choosing a Wedding Venue? First and foremost, before drooling over beautiful destination wedding photos, figure out your budget. While some lucky brides and grooms will have their pick of the litter, most couples need to have limits when picking venues. Remember that every dollar spent on your venue is one less dollar for catering, decorations, DJs and photographers, and the other aspects of a wedding day. While you may want the most beautiful location for your ceremony, think about all of the things you want to include. Then, once you have a limit for your venue budget, start browsing ideas. Is there a special location for your relationship (a certain place or town)? Has your family attended the same church or synagogue for generations? If tradition is important to you, then these places should be near the top of your list. However, if you aren’t tied to anywhere specific, think about the overall theme of your wedding. Is it a modern event? Then a space with modern design and decor might be the best bet. Do you prefer a rustic theme? 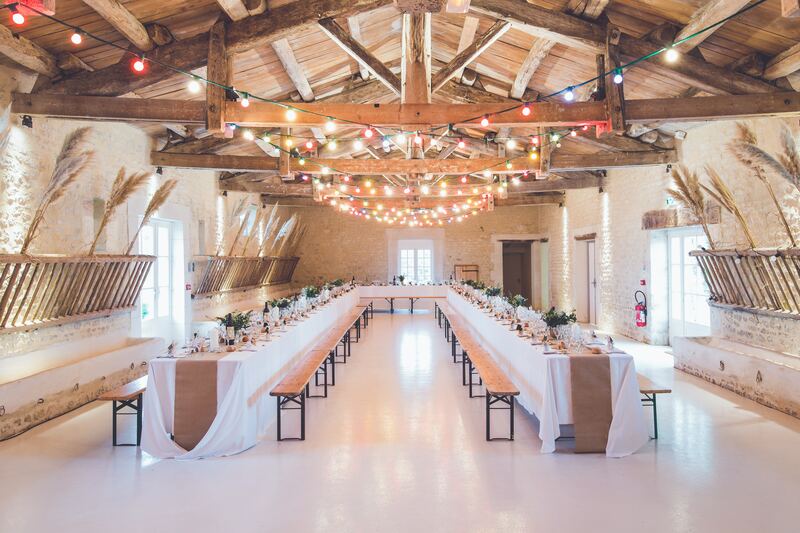 A large barn or farmhouse (with some carefully chosen decorations) could be the perfect spot. Whatever your answers may be, it’s important to remember that it is your special day, and the space should reflect what you want. Equally important (and probably determining your budget) is your planned wedding guest list. If you expect a large wedding (a guest list of 150 or more), then a destination wedding might be a no-go. 4. What Will Your Chosen Venue Require? Whether you opt for a beach wedding or just get married around the street at your local church, every venue has its own list of considerations. These don’t just involve decorations or seating – access for your caterers and other vendors are key too. Also, lodging and transportation for guests to the location are important, especially if your guests are working with limited budgets themselves. While you, of course, want to choose your dream spot, it’s important to remember that the dream only comes true if all of your vendors and guests can help you make your special day happen as well. 5. What Season Do You Want For Your Wedding? One of the most forgotten key considerations when choosing a wedding venue is the day itself. If you are opting for a winter wedding, obviously an outdoor location is probably not ideal depending on where you live. If it’s a summer wedding, an outdoor setting also can still offer some hazards. While indoor venues are usually less restricted by weather, remember also that guests traveling at different times of the year can face challenges from the weather too. Don’t forget this consideration! It could cause you some unnecessary stress and worry as your big day approaches.